[EAN: 9780674809840], Usato, buono stato, [SC: 32.42], [PU: Harvard University Press], Ships with Tracking Number! INTERNATIONAL WORLDWIDE Shipping available. May not contain Access Codes or Supplements. May be ex-library. Shipping & Handling by region. Buy with confidence, excellent customer service! 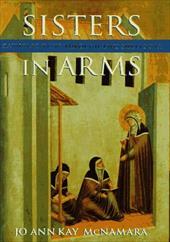 History has, until recently, minimized the role of nuns over the centuries. In this volume, their rich lives, their work, and their importance to the Church are finally acknowledged. Jo Ann Kay McNamara introduces us to women scholars, mystics, artists, political activists, healers, and teachers - individuals whose religious vocation enabled them to pursue goals beyond traditional gender roles.